Its new range, called the Cool Modern Collection, brings a fresh finish to selected audio systems, speakers and TVs. The Cool Modern Collection by Bang & Olufsen. 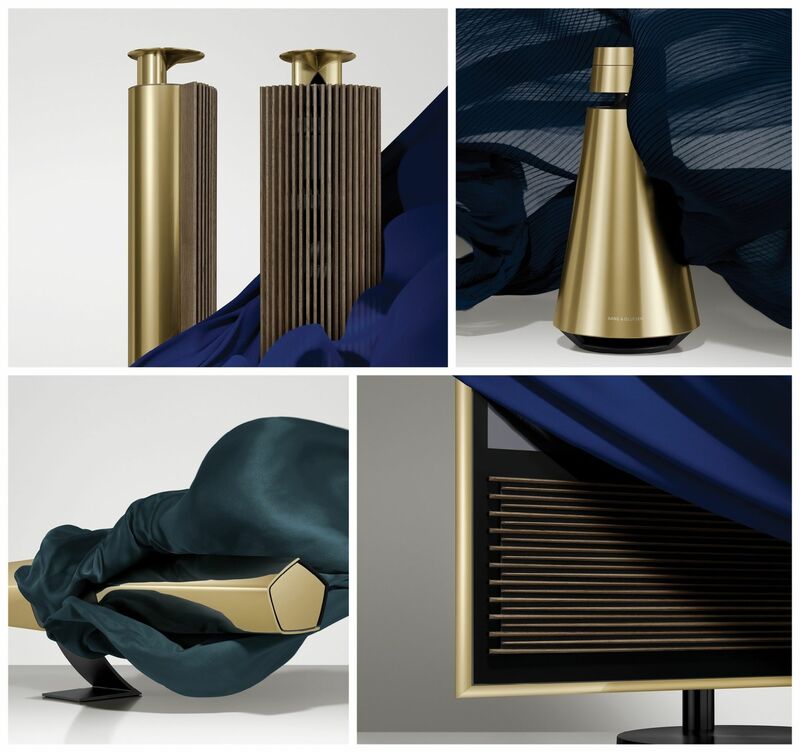 Bang & Olufsen’s latest collection features brass-toned finish, inspired by Art Deco and costs no more than standard versions of the products. The new models joining this collection include the BeoSound 1 and BeoSound 2 portable wireless speakers, BeoSound 35 multi-part audio system and BeoVision 14 4K TV. All these devices have been treated to the new warm color scheme, something rarely seen in the history of Bang & Olufsen. The Cool Modern Collection matches Bang & Olufsen’s iconic minimalist design with brass-toned aluminum structures, for an Art Deco-inspired design and a warm, refined finish. The collection also brings two new fabric colours—Purple Heart and Parisian Night—for speaker covers. Specially designed to celebrate the brand’s 91st anniversary, the Cool Modern Collection follows the Love Affair range, which brought a very trendy pink shade to the world of Bang & Olufsen. The Cool Modern Collection is available from Bang & Olufsen stores.